I installed it, and the trap door is locked? How/Where do I find the key? I seem to be haveing the same problem every body is having. I go to enter Breezehome and the game crashes. Can we either get an update on the fix or if there is a fix in the making? Dude! I got a serious problem. I had installed the Breezehome Basement Mod via curse client. removed it and installed this one. Now my savegames after installing Basement are broken. Well. Nevermind. Therefore I have a savegame before. BUT. 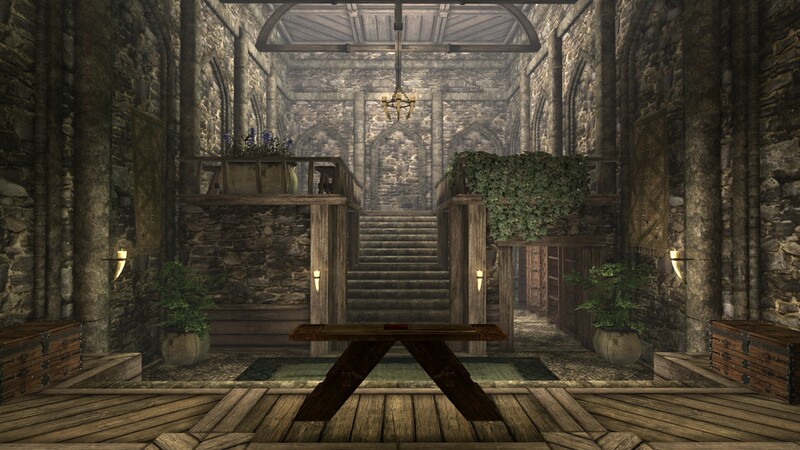 When I enter Breezehome now, Skyrim crashes. reinstalled the Hideoutmod twice, once via curse, once manually. No effect. Can't enter Breezehome. Can you help me with that? I'd like to translate Dovahkiin Hideout for Brazilian Portuguese, but ... How to open the files .esm and .esp for editing? Of course I would send the translated files for your use! In time, I participated in GameVicio team that translated the TES Skyrim for our language. 1st question: Post here or elswhere? Now bug-report: I 'moved' too, from n. to here to get the mod. Using 0.8.5 it seems you have some scripting bugs when activating the book shelfs. I hade quite some books standing, now activating them and deactivating - and some of the books where gone. I also took them out - no problem there - and set them back, also no problem. But now, I had the issue, when taking them back a 2nd time, a 'copy' was left in the shelf. When now placing them back againb, I have them twice... Als long as you do not activate the shelfs, your books are save. You can read them or take them out one-by-one. But placing or sorting them when in the ativated book shelf, brings up above mention problems.